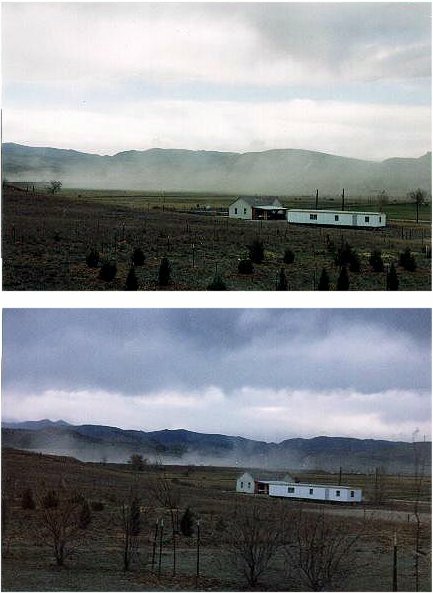 The following photographs show uncharacterized fugitive dust clouds from January 1999 through April 1999. 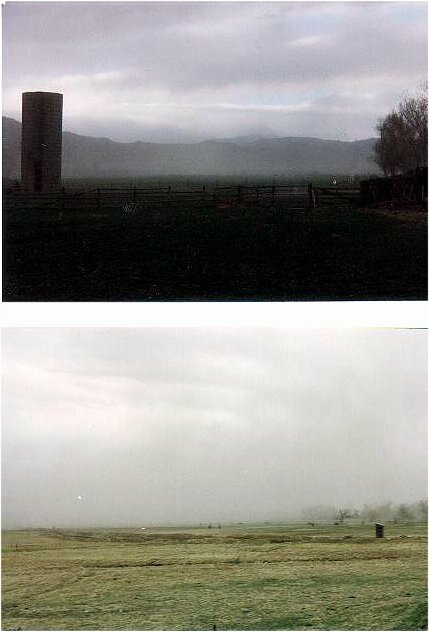 Without these dust clouds, the photographs would show the Southdown Cement plant and surrounding farms and farmland. 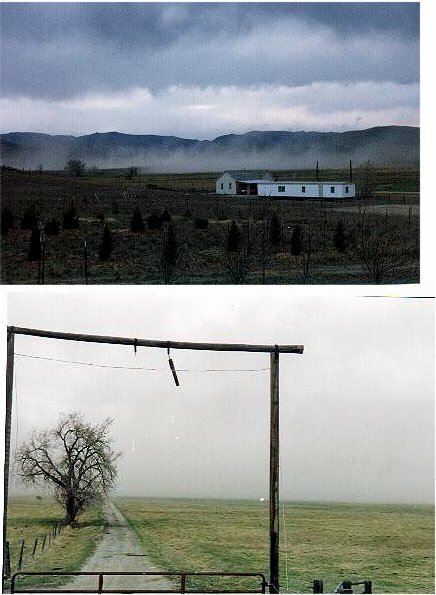 However, these clouds obsure the landscape and residents never know how long any one cloud will last. The photograph above is not an overexposed photograph. 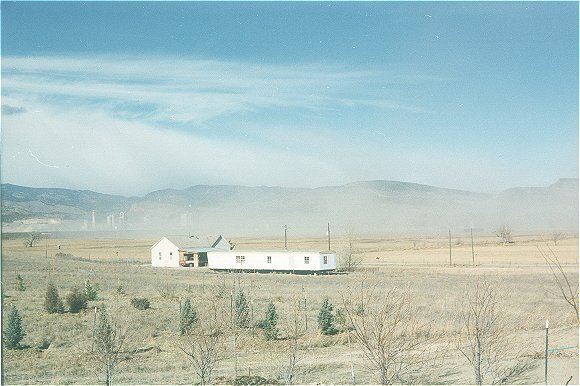 It shows the visibility from within one of the fugitive dust clouds from the Southdown Cement Plant in Lyons, Colorado. 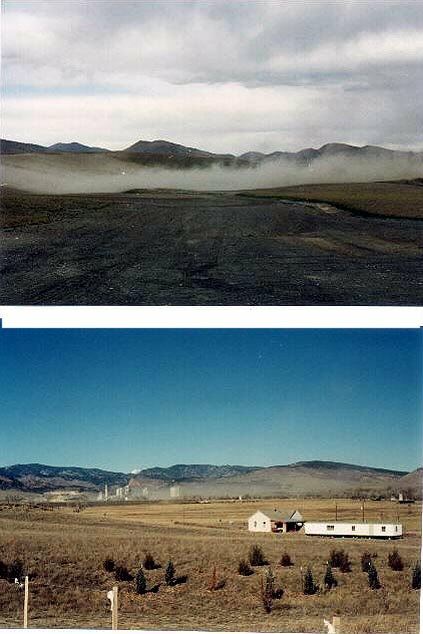 Despite reassurances by Southdown that they want to solve their housekeeping problems, the baghouse dust cloud, again, obscures the cement plant and neighboring farms. 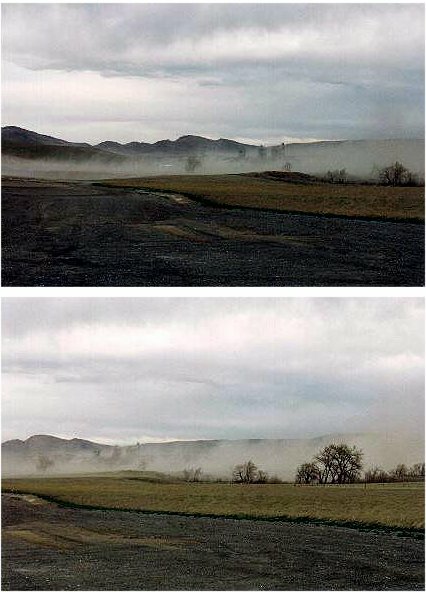 As the photographs from the last year show, the residents have been exposed to these clouds on a regular basis and are potentially at risk for asthma, lung disorders, and, ultimately, cancer. And it's sooooo preventable! These photographs were taken during the stretch of good weather in January. 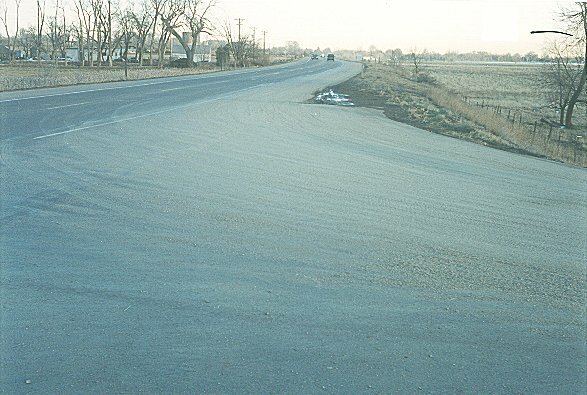 They show the dust and gravel residue left by delivery trucks. 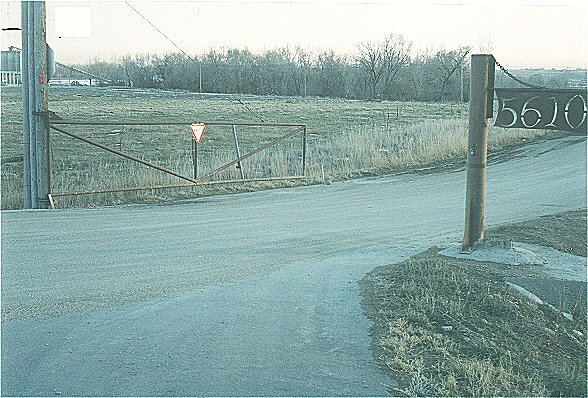 The roads look like dirt roads but they are actually paved roads. These trucks are required by law to wash before leaving the site, but they do not. Nor does Southdown enforce this regulation. 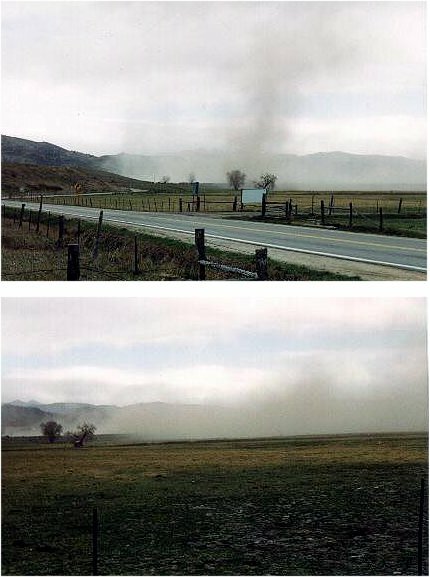 This dust is kicked up by trucks and cars and creates a health hazard for residents, cyclist, equestrians, and pedestrians.